The incident happened this afternoon. A MAN HAS been arrested in relation to the vandalism of the grave of President Eamon de Valera. The grave at Glasnevin Cemetery in north Dublin was damaged this afternoon, gardaí confirmed. A man in his 50s was detained in relation to the crime. The arrested man was brought to Mountjoy garda station where he was questioned. He is due to appear tomorrow in Dublin District Court. A garda spokesman confirmed gardaí were dealing with an incident at Glasnevin cemetery. 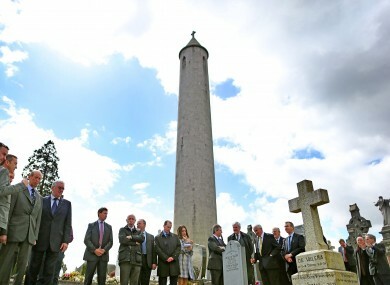 Email “Man arrested after Eamon de Valera's grave vandalised in Glasnevin Cemetery”. Feedback on “Man arrested after Eamon de Valera's grave vandalised in Glasnevin Cemetery”.